Green Bay Packers' Head Coach Mike McCarthy watches a replay on the scoreboard during the first half of an NFL football game against the Arizona Cardinals Sunday, Dec. 2, 2018, in Green Bay, Wis. The announcement came after a stunning 20-17 loss on Sunday to the Arizona Cardinals, dropping Green Bay to 4-7-1. 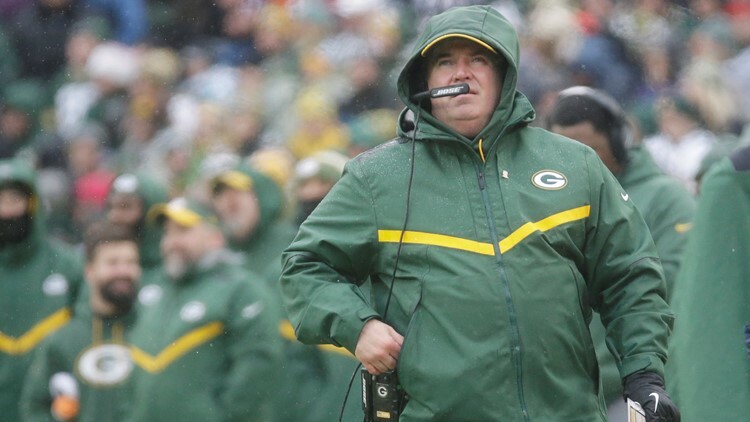 GREEN BAY, Wis. — The Green Bay Packers have fired coach Mike McCarthy and made offensive coordinator Joe Philbin the interim head coach.